Kris Mastrangelo, President of Harmony Healthcare International (HHI) interviews Judi Kulus, the Vice President of Curriculum Development at the American Association of Nurse Assessment Coordination (AANAC), in the 2017 AHCA Provider Lounge. Judi discusses the need for facilities to analyze patient populations for the facility assessment. Only through a thorough understanding of their patient population can a provider determine the appropriate staffing levels and competencies needed for their facility. (Audio transcription below). 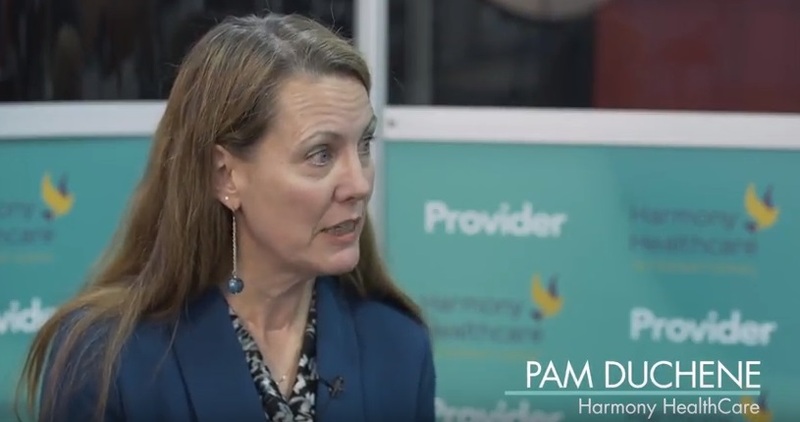 Kris Mastrangelo, President of Harmony Healthcare International (HHI) interviews Pam Duchene, Vice President of Education and Training at Harmony Healthcare International (HHI), in the 2017 AHCA Provider Lounge. Pam discusses not only the importance of having the facility assessment process in place, but also utilizing the facility assessment as a baseline measurement to bring skilled nursing facilities to the next level. (Audio transcription below).